A DETAILED spreadsheet on Sebastian Spagnuolo’s computer comprises about 350 names. 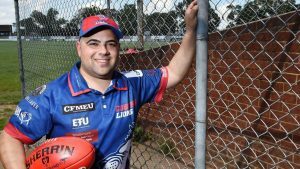 It is a blueprint for VFL club Coburg’s future, devised by Spagnuolo — the Lions’ list manager — and his team of talent spotters. The brightest prospects from community football, other state league clubs and the TAC Cup are listed as potential recruits. Spagnuolo was appointed as Coburg’s list manager in 2015, trading his role as the Lions’ forward line coach in an effort to attract potential AFL players to the stand-alone club. Adam Saad (Gold Coast), Michael Hartley (Essendon), Luke Ryan (Fremantle) and Robbie Fox (Sydney) have rolled off Coburg’s production line in recent years, making the pitch from Spagnuolo to prospective recruits simpler. “Our story with our recent draft success, that tells itself,” Spagnuolo said. The opportunity to play regular senior football under experienced mentor Peter German is another major selling point the Lions have over AFL-aligned clubs such as Northern Blues and Essendon. German’s coaching experience in Tasmania and Western Australia has helped Spagnuolo develop a vast scouting network. Coburg has signed a host of interstate recruits this off-season, including Lauderdale’s Nick Dodge, Tom Cleary (Glenorchy), Cassidy Haberfield (Surfers Paradise), Connor Byrne (WSU Giants) and Stuart Donnelly (Southport Sharks). “He used to coach in Tassie, he used to coach in WA and he has got a vast network of people that will give him a tip off sometimes,” Spagnuolo said of German. “He will feed it to me and I’ll then do a bit more research. If we like what we see we put a call in. There’s no one set way. Coburg has also benefited from its close ties with TAC Cup club Calder Cannons, offering players overlooked at the draft an opportunity to impress at state league level. Northern Blues wasted no time snapping up Cam O’Shea. Picture: Morne de Klerk. 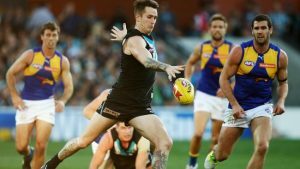 When Northern Blues recruiting manager Brad Wilson heard Port Adelaide defender Cam O’Shea had been delisted after 81 AFL matches, he knew competition for the 24-year-old’s signature would be fierce. Wilson was quick to make contact and his instincts paid off when O’Shea committed to the Blues in December. The 35-year-old has four scouts who work under him, compiling reports from matches across Victoria to identify players who could add value to the club’s VFL list or Carlton’s AFL squad. By the end of the 2016 season, Wilson had logged about 100 names to his database who were worthy of further consideration. “We might have 10 local leagues throughout Victoria and everyone will have three leagues to watch,” Wilson said. “Every guy will have their own league, then they will go out and put a match report together. Spagnuolo and Wilson both juggle fulltime work with their recruiting roles. The pair estimate they have spent an average of about 30 hours per week on football matters since the end of last season, trying to convince players to ink deals with their respective clubs. “I have spoken to close to 250 players in the off-season myself,” Spagnuolo said. 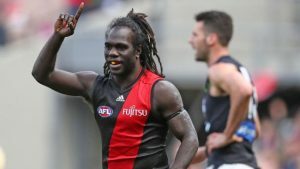 Anthony McDonald-Tipungwuti has been one of the success stories of Essendon’s VFL program. Picture Scott Barbour/Getty Images. Essendon VFL operations manager Ash Brown sits in close proximity to the club’s recruiting team at the Bombers’ Tullamarine headquarters. 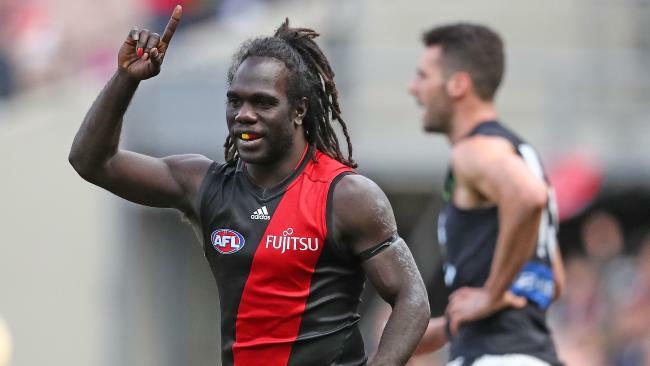 When discussing whether to add a player to the club’s VFL list, they are looking for the same rare commodities which helped Anthony McDonald-Tipungwuti transition from state league football to the elite level with aplomb. “We are fundamentally an AFL reserves team. We want to try and put talent on our VFL list we think are hopefully draftable,” Brown said. 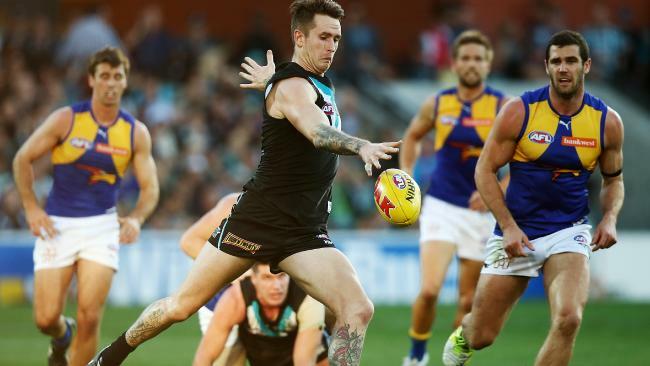 The Bombers, Blues and Lions each sell opportunity to players. As a stand-alone club, Coburg can offer more attainable chances at senior level. Northern Blues and Essendon both have to fit AFL players into their sides each round, but provide a professional environment and fulltime coaching staff. The competition to sign players is stronger than ever, with significant money on offer to the leading footballers at community level. But with a direct pathway to the top and close ties to AFL clubs, VFL sides continue to provide budding AFL players with experiences money can’t buy. The VFL meat market goes into overdrive in October after AFL clubs announce changes to their lists. Another Cannon graduate makes his way to Piranha Park! Promising young key tall signs from the Bushies.